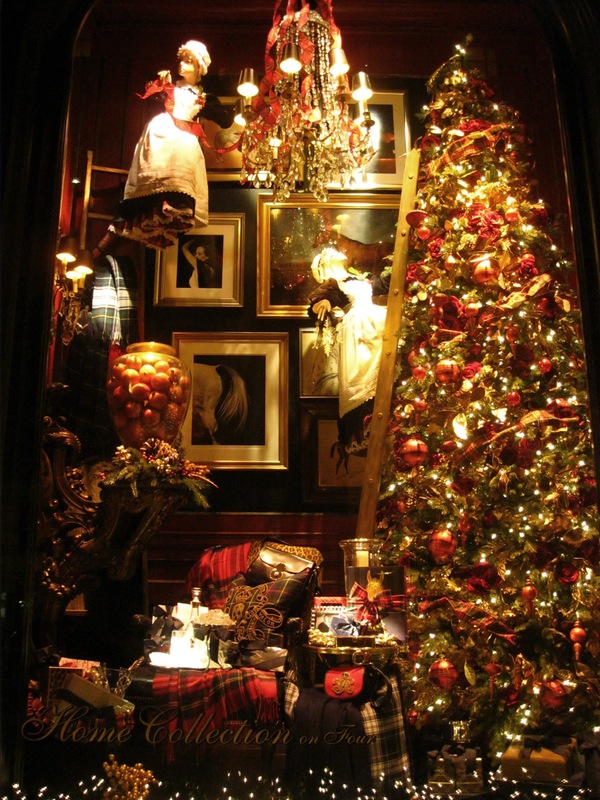 The holidays have come and gone and yet the Christmas spirit is still lingering in the brisk New York air. Just a couple of days ago, Washington Square still boasted a giant illuminated tree as I passed by. 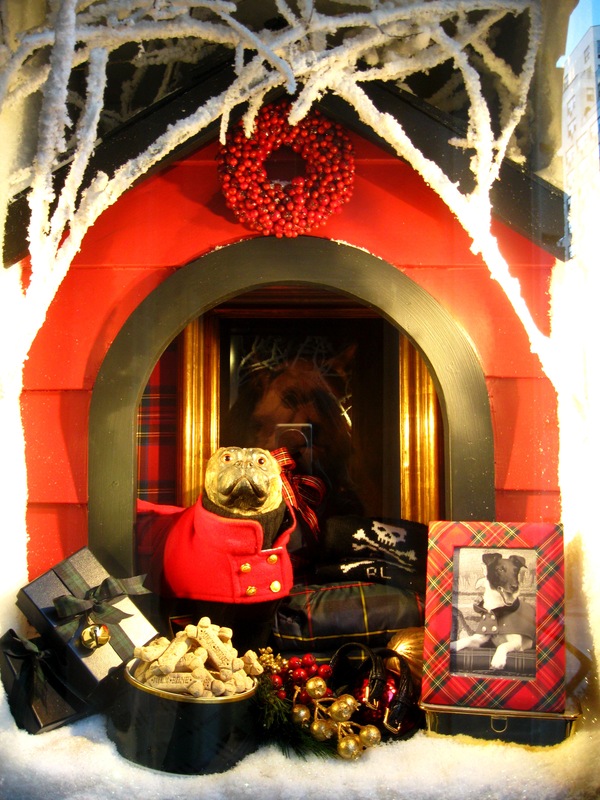 Following Part 1 on holiday store windows in New York, here are a few fun finds I enjoyed on breaks from bouts of Christmas shopping. Let’s start with outdoor activities. There’s nothing quite like ice-skating right in the middle of Central Park with the Manhattan skyline in the background and old rock n’ roll and Christmas carols to set the rythm. 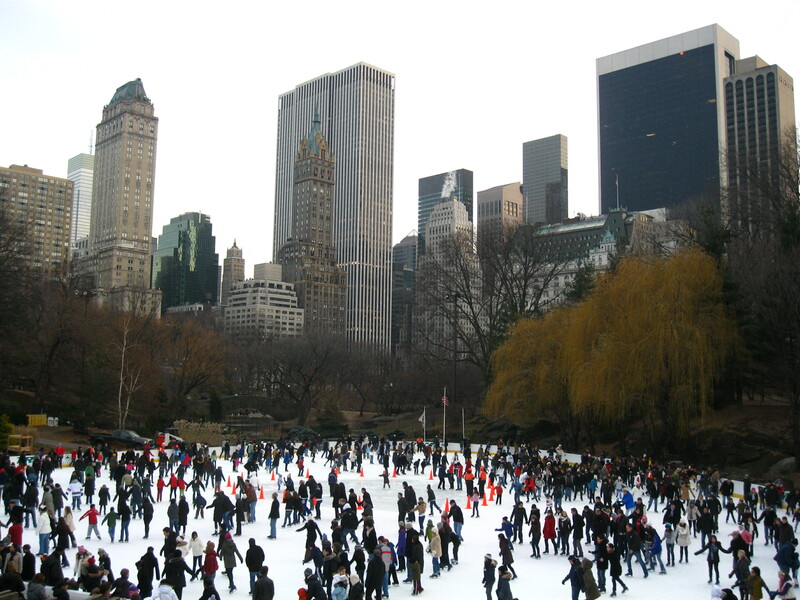 This glorious pastime is not exclusive to the holidays: Wollman Rink is open winterlong for all to enjoy. 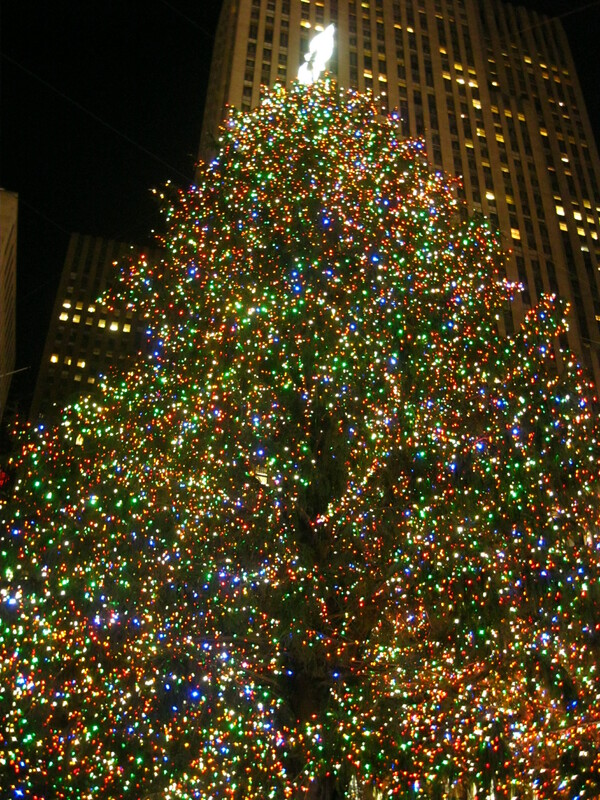 The smaller-sized Rockefeller Center ice rink was crowded on the outside with admirers of the gigantic Christmas tree. 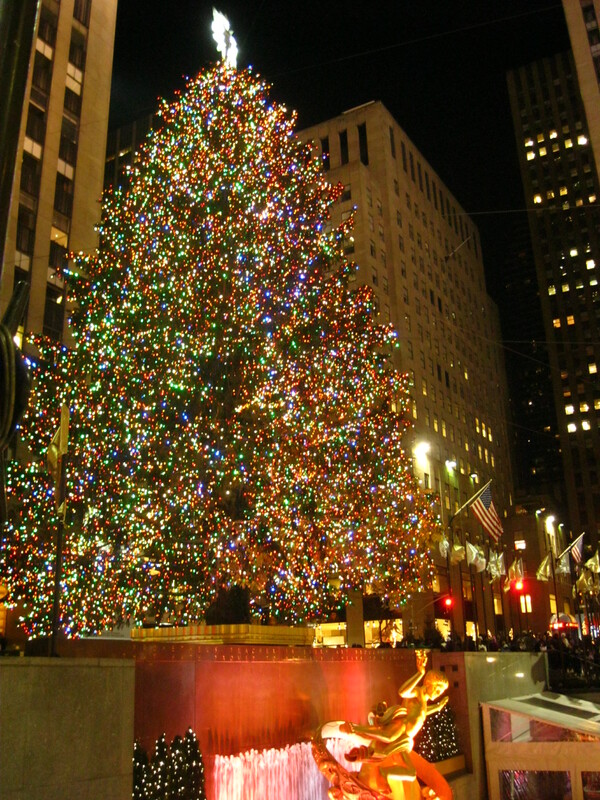 The 74-foot 12-ton Rockefeller Center Christmas tree was decorated with 30,000 light bulbs. I dare say these large numbers make it a tree of American proportions! 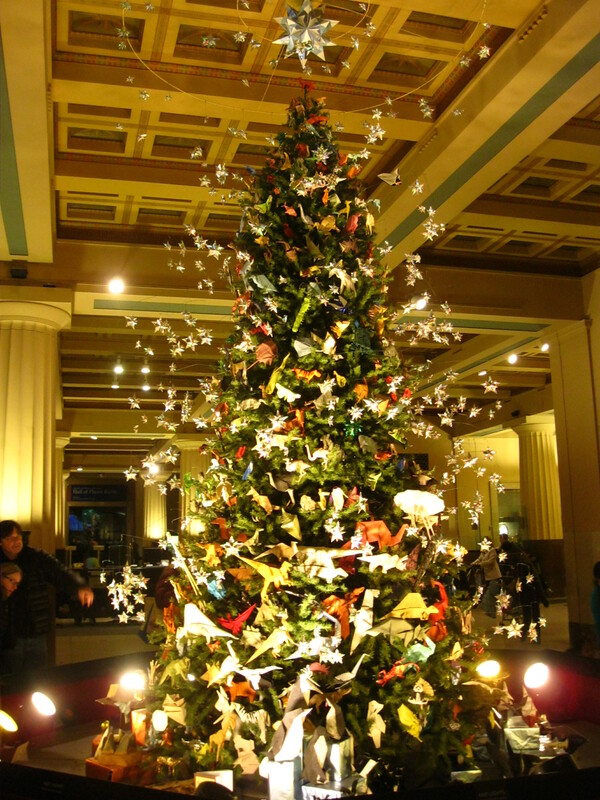 The American Museum of Natural History hosted a more intimate, creative and poetic version of the Christmas tree. 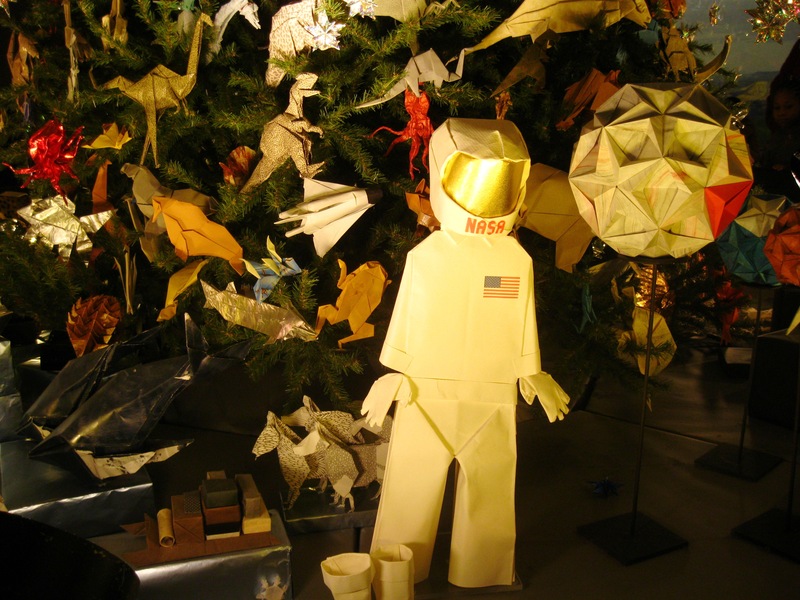 More than 500 origamis, most of them folded from a single piece of paper, decorated it. 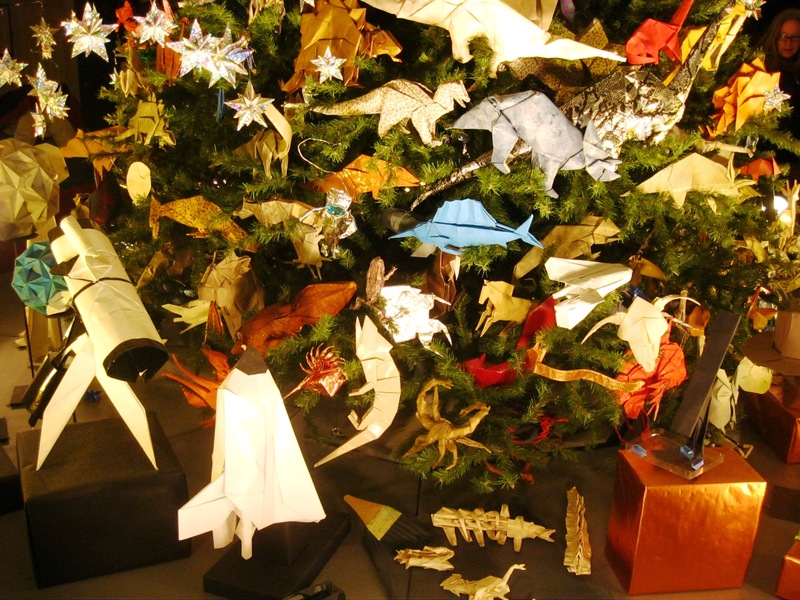 Loyal to the neighboring prehistoric skeletons and other scientific wonders, the tree featured a fun crowd of dinosaurs, whales, space rockets, ships and astronauts. Now let’s get serious. What would Christmas be without shopping among a sea of people? 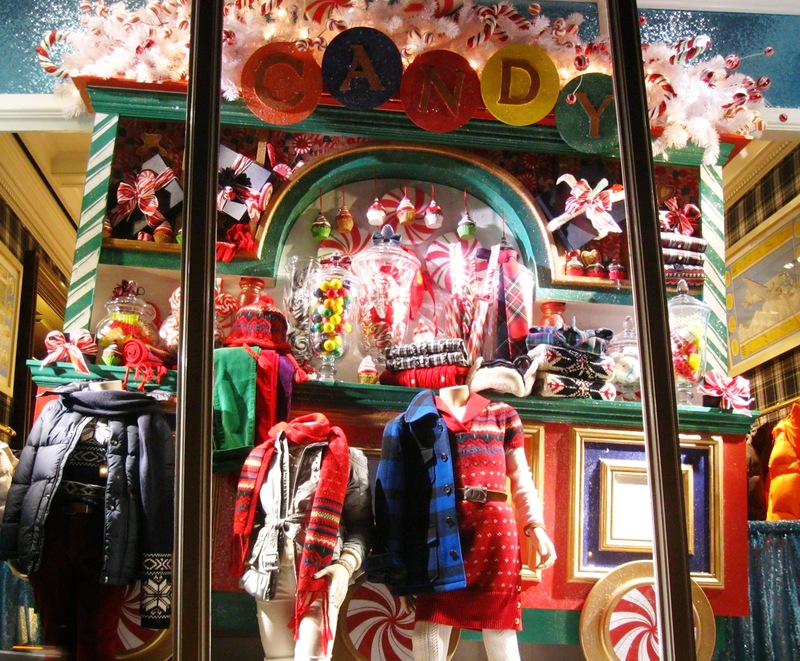 It makes surprising outdoor decorations even more welcome, such as the Tommy Hilfiger and Fendi stores on Fifth Avenue. 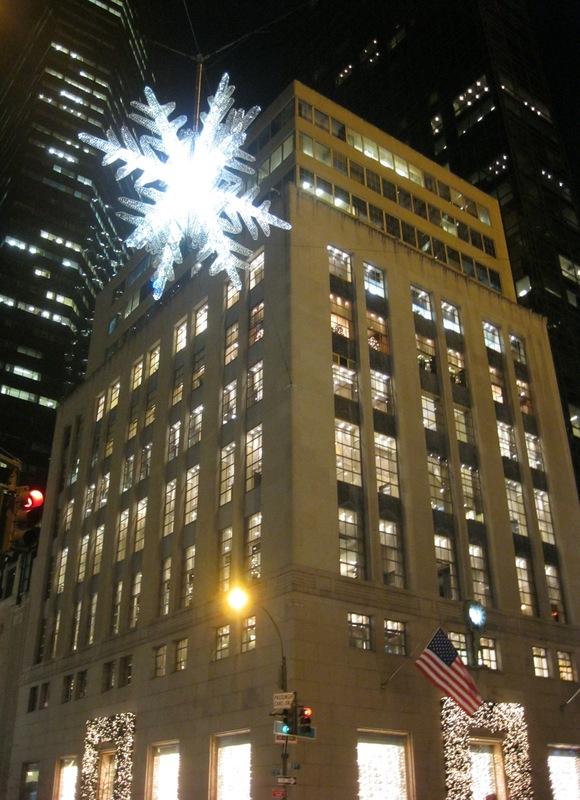 A few streets uptown near Central Park, the annual UNICEF snowflake glowed in front of the Tiffany store, reminding us of those in need during the holidays. 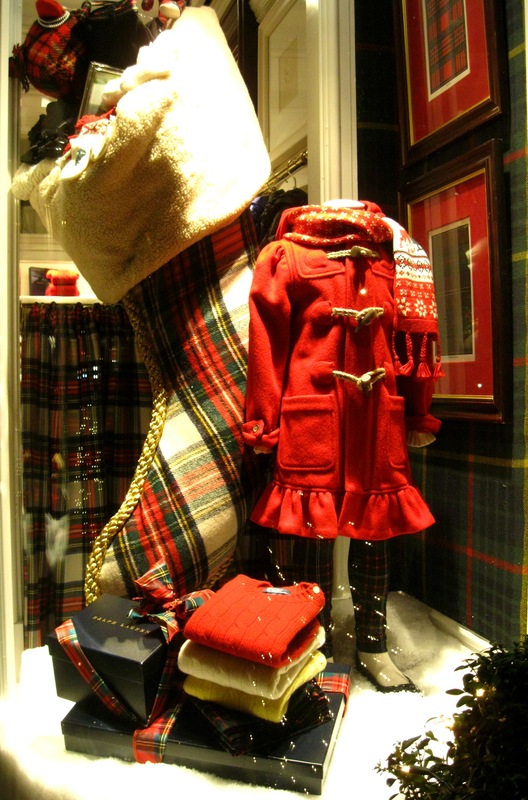 Let’s end our tour with Ralph Lauren, a brand that made me even more excited for the holidays with its sense of humor and refinement in details, as I showed you in my post on Halloween. Even the dogs celebrate Christmas. 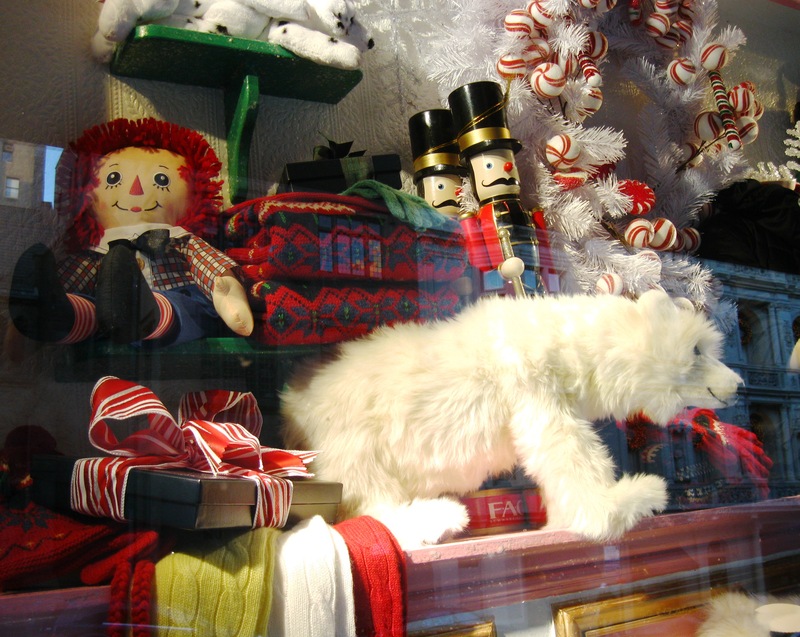 What did you enjoy in your town at Christmastime? Les fêtes sont passées et pourtant il y reste toujours un air de Noël à New York. Le weekend dernier, le sapin de Noël était encore dressé à Washington Square au centre de Greenwich Village. 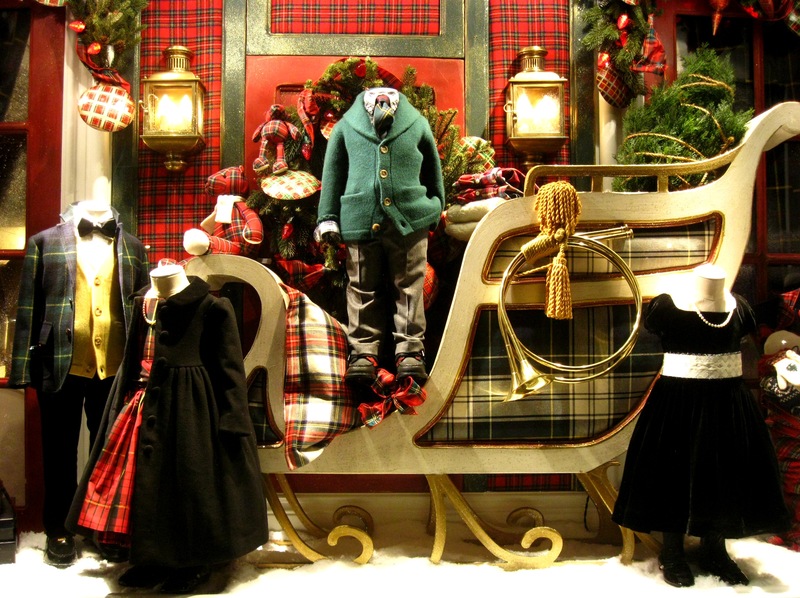 Suite au billet sur les vitrines de Noël, voici un florilège de mes trouvailles du mois de décembre. Commençons par les activités en plein air. S’il vous prend l’envie de vous défouler sur la glace sur le rythme de vieux rock n’ roll et de Christmas carols, la patinoire Wollman située en plein Central Park est ouverte jusqu’en avril. Plus petite, la patinoire du Rockefeller Center attire les foules venues admirer le sapin gigantesque de Noël sous l’œil de la statue de Prométhée. 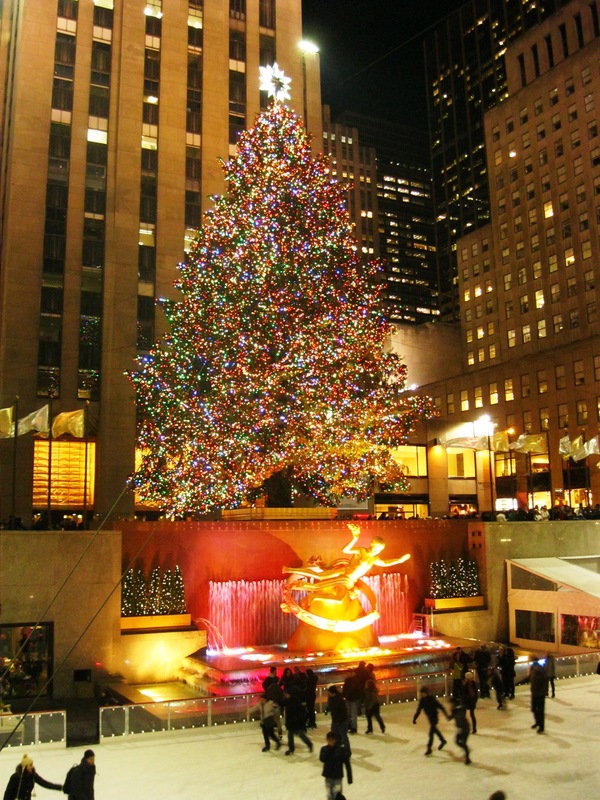 Haut de 22 mètres et pesant 12 tonnes, le sapin du Rockefeller Center est décoré de 30 000 ampoules colorées. Un véritable sapin taille américaine ! 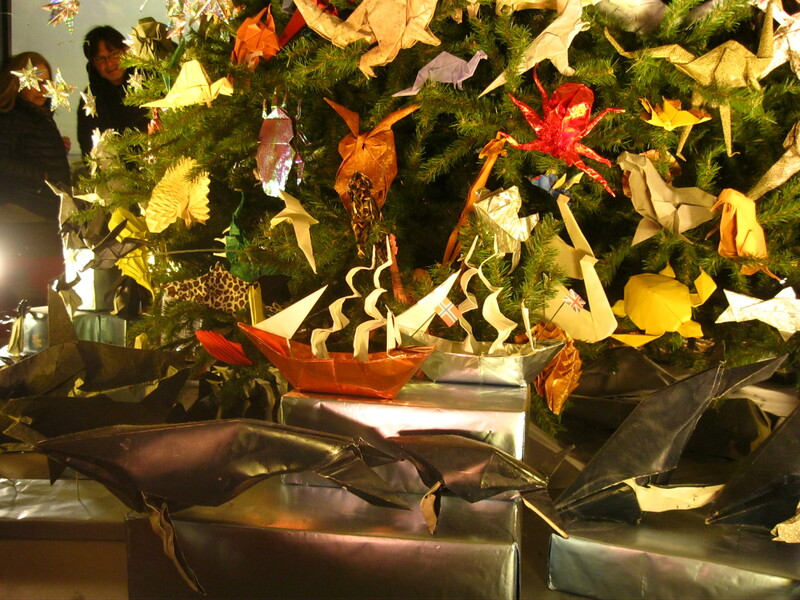 Le Musée d’Histoire Naturelle de New York présente chaque année sa version du sapin de Noël plus intime, créative et poétique. 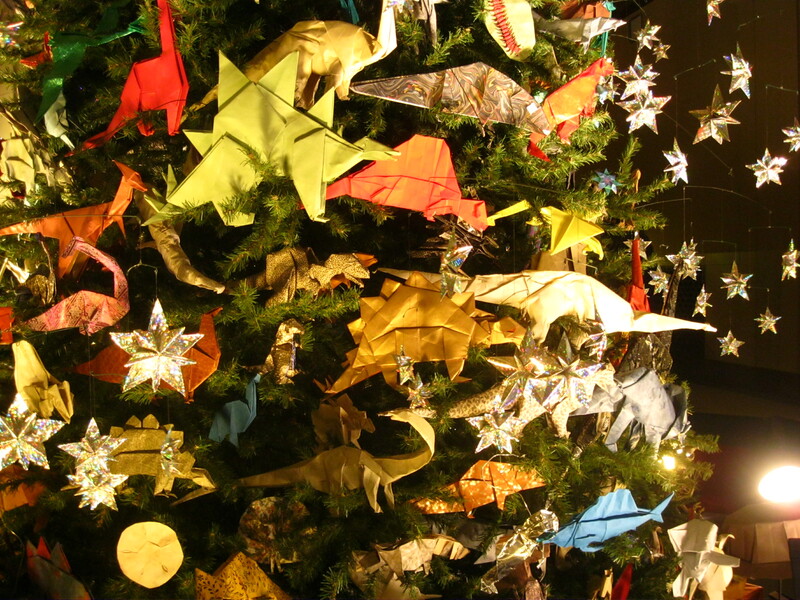 Plus de 500 origamis, la plupart créés à partir d’une seule feuille de papier, décorent ce sapin sur le thème de la découverte. Les dinosaures y côtoient les baleines, les fusées, les navires à voile et les cosmonautes. Mais passons aux choses sérieuses. Que serait Noël sans les fameuses courses aux cadeaux ? Heureusement, cela donne l’occasion d’admirer de surprenants habillages de magasins, comme ici Tommy Hilfiger et Fendi sur la 5e avenue. Remontons la 5e avenue vers Central Park. Chaque année en période de fêtes, un flocon de neige géant illumine le carrefour face au magasin Tiffany. Mis en place par l’UNICEF, un luminaire similaire est installé à Los Angeles sur Rodeo Drive. 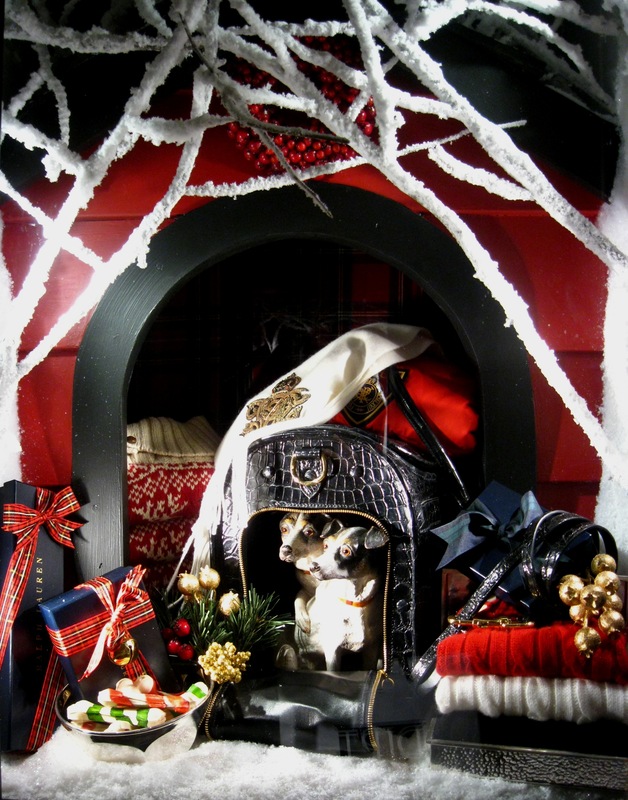 Terminons par les vitrines des magasins Ralph Lauren, plus uptown sur Madison Avenue. Après leurs mises en scène d’Halloween, cette marque m’a encore une fois agréablement surprise par son sens de la fête, de l’humour et du raffinement dans les détails. Et dans votre ville, qu’est-ce qu’il y avait de spécial à Noël ? Entièrement d’accord. C’est reparti pour la folie du shopping! 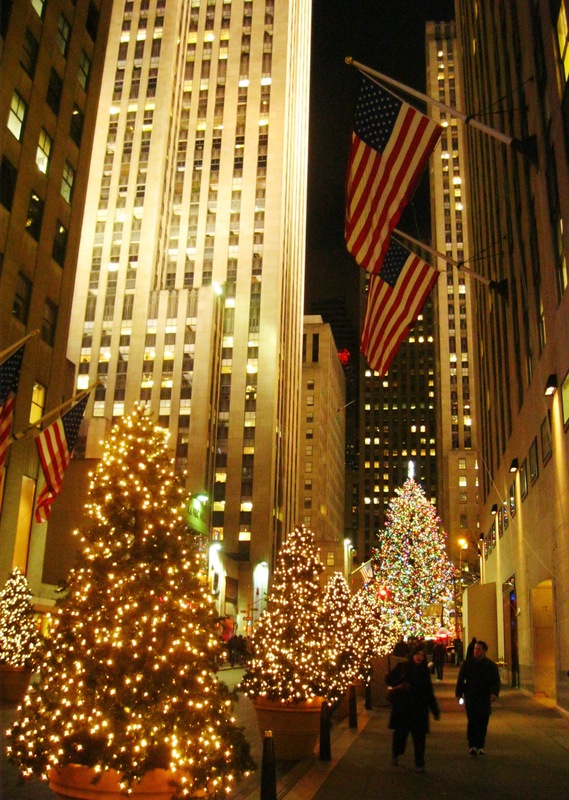 It´s a pleasure for me to see more NYC Christmas images. The amazing external shots perfectly resemble postcards. And it´s impossible not to register Tommys and Fendis frontages. 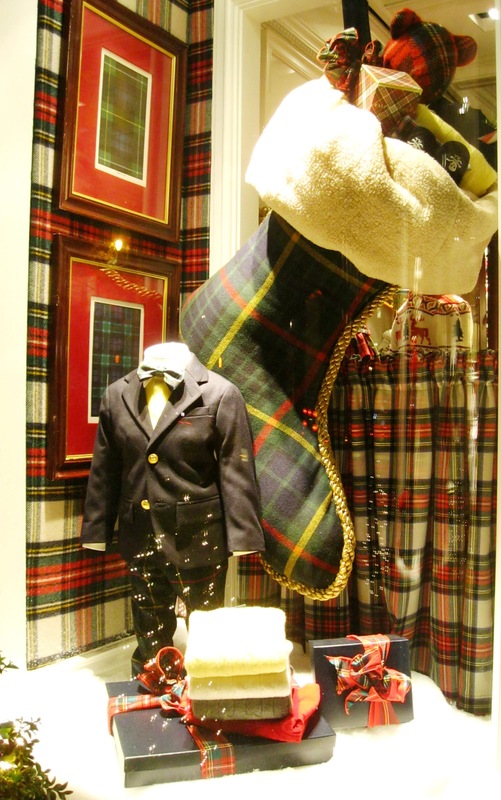 As we can notice in another large cities around the world, Ralph Laurens windows compositions traditionally are beautiful and elegant, but it´s a little weird to see well dressed kids with no heads, I agree. Just an anatomic detail… Haha. Je suis contente que vous aimez ce billet, et le français! Did you see the Cartier building, j’adore! 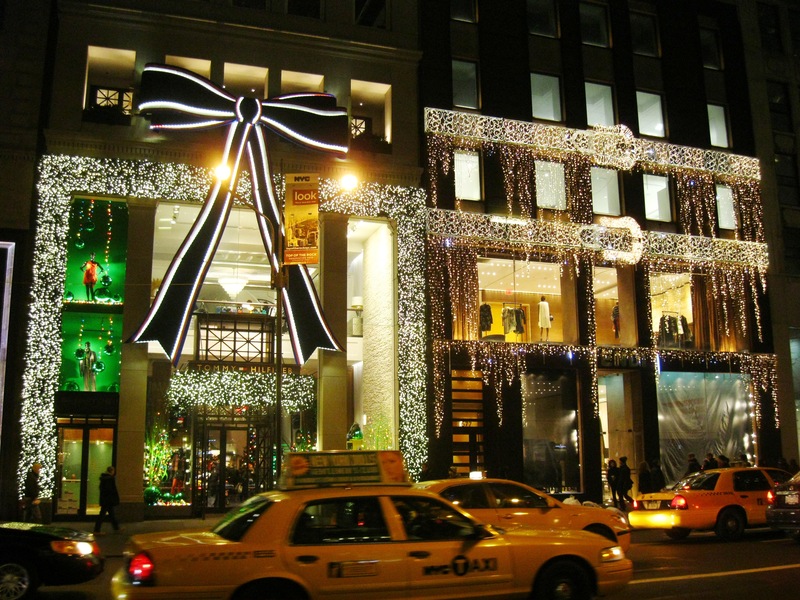 Yes I loved the Cartier building and its big bow! I was planning on including a picture in the post but it didn’t turn out too well. What a wonderful pet owner you are ;-) I loved your holiday playlists by the way! These pictures are going to be so fun to look at 50 years from now. That is one reason why I take pictures so often. I want to be able to show my grandchildren aspects of the early 21 century. I’m really longing for Spring, but when I saw your post I’d love me another X-mas. Especially in New York. Don’t you just love skating there? I actually have not tried skating here! Too many people, too much waiting… I’m an impatient person!